Martin Shkreli, a former hedge fund manager who is infamous for overnight spiking up the price of a lifesaving drug by 5,000 percent, was convicted on three counts of fraud in an American federal court on August 4. Shkreli is now staring at an incarceration period of up to 25 years. The order cheered up many across the world – people from the global North and the South have been grappling with the issue of high-priced, life-saving drugs. But what happens when countries bolster the Big Pharma’s agenda of keeping prices excessive and unaffordable for many, particularly for people in poorer countries? And what court does one go to when powerful countries work outside established international trade laws, thereby, adversely impacting millions of the suffering and diseased? The 19th round of negotiations for the Regional Comprehensive Economic Partnership (RCEP) agreement was held at a five-day meet starting July 24 in Hyderabad, the hub of the Indian generic industry. About 700 delegates from 16 countries participated in the negotiations. The RCEP membership comprises the ten ASEAN countries (Brunei, Cambodia, Indonesia, Malaysia, Myanmar, Singapore, Thailand, the Philippines, Laos and Vietnam) and their six free trade agreement (FTA) partners – India, China, Japan, South Korea, Australia and New Zealand. As is typical of many mega FTA negotiations, RCEP talks are shrouded in secrecy. The scope of the possible deal is staggering which aims to cover agreements on goods, services, investments, tariff and non-tariff barriers, technical cooperation, competition and intellectual property (IP) rights. The little that is known of the RCEP text, however, has rattled some Indian businessmen and activists alike. Reportedly, there were important talks finalising the maximum number of duty-free goods. Several governments want India to eliminate duties on about 90 percent of traded goods as part of the FTA. This may not be easy for India to agree to. Apart from other considerations, this could also affect the prime minister’s flagship programme of ‘Make in India’. “India’s trade deficit [annual] with RCEP nations is about $100 billion, and half of this is with China alone even without an FTA with China,” Siddhartha Roy, economic advisor, Tata Group, told The Hindu after the Hyderabad talks began. “Post India’s FTA with ASEAN, Japan and Korea [who are all RCEP members], our trade deficit with them have increased, and the government needs to take this into account during RCEP negotiations,” he added. India, on the other hand, wants greater market access for its services sector including IT/ITeS but finds its interests at odds with many of the developed nations who oppose this demand. This is a battle that India is also fighting at the Geneva-based World Trade Organisation (WTO) where it has submitted a proposal for a Trade Facilitation in Services on similar lines as the recently-adopted Trade Facilitation Agreement in goods. The proposal is being opposed by many of the richer member states. The most contentious part of the text, and possibly one that will have the most wide-reaching impact globally, however, is around IP issues. The award-winning American NGO Knowledge Ecology International (KEI) leaked parts of the RCEP’s IP-related text in 2015. The demands are nothing new or surprising. Like most FTAs that involve India, the pharmaceutical-hosting countries, like Japan and South Korea, want India to rein in its thriving generic industry, which has given India its moniker as the pharmacy of the developing world. Other FTAs that have similar IP asks are the EU-India FTA and the India-EFTA (European Free Trade Association comprising Switzerland, Iceland, Norway and Liechtenstein) FTA – they have also run into a logjam. Additionally, like for the Trans-Pacific Partnership, the RCEP draft text asks for the setting up of an Investor State Dispute Settlement (ISDS) mechanism (more below), which allows private parties to drag governments to private courts, including for IP matters. RCEP, like many other FTAs, has IP protection requirements that not only go beyond international laws drawn up at the WTO through the agreement on Trade Related Aspects of Intellectual Property Rights (TRIPS) but are also Anti-Counterfeiting Trade Agreement (ACTA)-Plus. TRIPS protection grants the applicant a right to exclude others for a 20-year period from the date of filing. This is considered the length of a patent following which it can be accessed and used by anyone. The RCEP draft text proposes to increase patent terms beyond the stipulated 20 years, which ensures that patent holders can ward off generic competition and maintain artificially high prices. The proposed text also asks for data exclusivity for five years, which would protect results of clinical trial data that tests if a drug is safe and effective for human use. This means that generic drug manufacturers cannot rely on this data and have to conduct their own tests for submission to regulatory agencies, a process that can take several years, thus, again, preventing their entry into the competitive market. Additionally, sources indicate that Japan wanted to tamper with section 3(d) of the Indian Patents Act, which stipulates that the mere discovery of a new form of a known substance that does not enhance the known efficacy of that substance is not patentable. This was scrapped off after fierce opposition from India and other RCEP negotiating countries. To be precise: a lot. Barriers to entry of generic medicines to the market make drugs prohibitively expensive since their entry is the most effective way of reducing prices of essential medicines as well as ensure access to treatment. For instance, in 2001, the price of HIV medicines came down from $10,439 per patient per year to $350 per patient per year owing to competition from Indian generic manufacturers, mostly Cipla. Patented medicines have ensured that treatments to diseases like multi-drug resistant tuberculosis (MDR-TB), cancer, hepatitis-C are beyond the reach of most, even in rich European countries and the US. Health ministries, humanitarian medical treatment providers such as Médecins Sans Frontières (MSF) have relied on affordable, quality generic medicines to address public health challenges. India manufactures two-thirds of all generic medicines, including 80 percent of all HIV medicines, while China is a big producer of active pharmaceutical ingredients (API) for the drug industry. “If the most aggressive provisions in the RCEP are in the final agreement, it will create a host of new barriers to making, selling and obtaining generic drugs and vaccines. Prices will be even higher and monopolies will last longer for new drugs,” Jamie Love, director of KEI, says. “The promise of access to medicines for all will become even more empty, and more a slogan than a reality. Negotiators who advocate TRIPS plus provisions on medicines should be ashamed, and acknowledge the consequences and their role in the outcome,” he adds. Japan’s negotiating text on IP is TRIPS-plus and if accepted it will roll back public health safeguards enshrined in international and Indian patent law, MSF says in a letter written to the Indian commerce minister, Nirmala Sitharaman, in August 2014. “They have not realised that ACTA is coming through the backdoor. Majority of the text is about IP enforcement ensuring that there is such a chilling effect that no generic manufacturer or third-party challenges their patents in court. They are skewing the judicial system in their favour,” Leena Menghaney, regional head of South Asia, MSF Access Campaign, told Governance Now. The draft text, if adopted with its current proposals, would impair legitimate trade between developing countries. It would allow the raiding of manufacturing premises of generic companies and the seizing of materials used for the manufacture of generics that includes API and machinery, say health activists. “The IP enforcement part is not something that countries are paying much attention on. Japan, Australia, South Korea are pushing very hard against Indonesia, Thailand, India and China,” Menghaney says. As pharmaceutical lobbies grow more powerful with active funding for political parties in many countries across the world, governments are succumbing to negotiating to further the lobbies’ interests. Japan is one such country, which is insisting on stricter IP rules, for instance, with a drug patented by Otsuka for the treatment of extensively drug-resistant tuberculosis. “The company has been strategically withholding the registration of the patent in India, thereby preventing a generic version of the drug from being manufactured,” writes Feroz Ali, IPR chair professor at IIT Madras, in the Hindu. “In the event that a provision of data exclusivity is passed, the millions of TB patients in India would have to buy the high-priced drugs, which would have no cheaper generic alternative,” he adds. He further argues that if India has an agreement with Japan through the RCEP, India will be obliged to offer the same concessions to other members of the WTO through the most-favoured-nation clause. “It is evident that developed countries are using FTAs to expand the existing standards of IP,” he writes. WTO is clear that such stringent IP protection is to be reserved for commercial piracy only – validity of drug patents have to be tested by courts first. According to WTO rules, governments can tailor their national IP policies taking into consideration a country’s economic, developmental and other objectives, including public health. 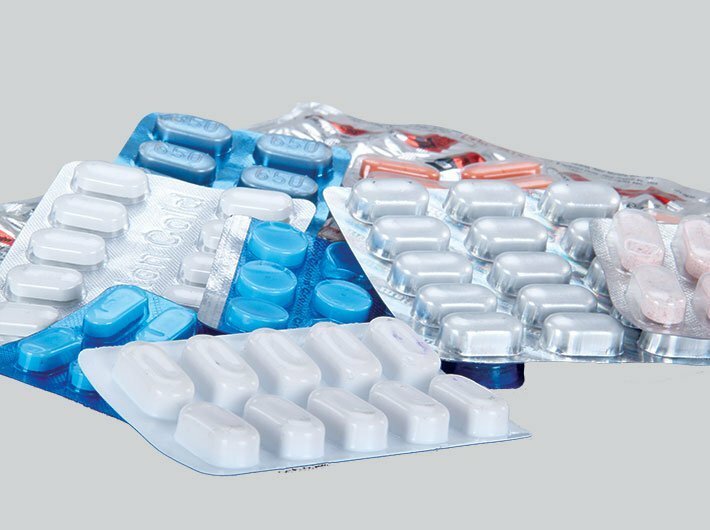 Furthermore, least developed countries (LDCs) are allowed to maintain maximum flexibility in their approach to patenting pharmaceutical products until at least 2033, following a decision taken by the WTO’s Council for TRIPS in November last year. “The value of the WTO was supposed to be a rules-based trading regime with protections for weaker parties. The FTA negotiations have embraced indefensible secrecy to push an agenda that benefits the powerful and the rich at the expense of everyone else,” argues Love. Till now, India has had a “good position” on the RCEP negotiations and some other FTAs, says Menghanay, but the devil lies in the details. ASEAN is being represented by Singapore and Singapore has traditionally stood by TRIPS-plus provisions. This is what is worrying for activists and negotiators from middle-income and LDCs. “Whether Singapore will look after the interests of Indonesia, Myanmar, Cambodia and other LDCs is yet to be seen,” Menghaney says. Both South Korea and Japan are isolating India, sources indicate. It is imperative, therefore, that negotiators remain consistent and bold for India to be able to continue with its IP flexibilities. Significantly, as mentioned before, the investment rules proposed in the RCEP would make it possible for pharmaceutical companies to sue governments in secret arbitration tribunals, if they find their interests dampened, through the ISDS mechanism. This would allow foreign companies to seek huge amount of financial compensation – if sovereign states legislate in public interest negatively impacting the profits of these companies – thereby throwing both the national laws and TRIPS rules to the wind. There have been many such instances in the past. For example, tobacco giant Phillip Morris sued Uruguay asking for financial compensation in 2010 at the International Centre for Settlement of Investment Disputes when Uruguay's anti-smoking legislation ate into its profits. “This regime has, more or less plausibly, been characterised as a network of secret or ‘shadow’ courts dominated by a clique of elite arbitrators motivated not by justice but by personal wealth acquisition, a system where multinational corporations unleash blue chip law firms on some of the poorest countries in the world, forcing multimillion dollar settlements or winning awards that are even larger, sometimes more than an impoverished nation’s entire annual budget for health, education, and public security,” Robert Howse, professor of international law at New York University, writes in a well-argued paper entitled ‘International Investment Law and Arbitration: A Conceptual Framework’. “Through ISDS, the federal government gives foreign investors and foreign investors alone the ability to bypass that robust, nuanced, and democratically responsive legal framework,” Howse writes, quoting a letter to the US government by over 200 academics in law and economics, including distinguished scholars such as Laurence Tribe and Joseph Stiglitz. Freed from fundamental rules of domestic procedural and substantive law that would have otherwise governed their lawsuits against the government, foreign corporations can succeed in lawsuits before ISDS tribunals even when domestic law would have clearly led to the rejection of those companies’ claims, Howse argues. The fight to arm-twist governments so as to maintain excessive prices of medical products is one that is being played out across multilateral forums in the United Nations (UN) and its agencies like the World Health Organisation (WHO) and the WTO. At the WTO Council for TRIPS held on June 13, a major, first-ever proposal tabled by Brazil, China, Fiji, India and South Africa raised the question of growing concern about the “imbalance between intellectual property and the public interest”. The five governments called on WTO member-states “to exchange views and experiences on measures within the IP system that they have adopted to promote the public interest, including but not limited to compulsory licensing, patentability criteria, IP and competition, and the Bolar exception”. They also called for the sharing of experiences on the use of compulsory licences for accessing health and other technologies. The co-sponsoring governments also said that political and economic pressure placed on governments to forego the use of TRIPS flexibilities violates the “integrity and legitimacy of the system of legal duties and rights created by the TRIPS Agreement, as reaffirmed by the Doha Declaration”. This affects the policy space available to governments for legislating in public interest. Investor-State regimes either under bilateral or regional investment protection agreements are growing significant threats to using TRIPS flexibilities. The paper emphasises the findings of the UN Secretary-General’s High Level Panel on Access to Medicines (UNHLP) – the report of which was released in September last year. The report become contentious even before it could be published with governments of pharmaceutical-hosting countries, like the US, the EU, the UK, Japan and South Korea, dismissing the panel and its findings arguing that the panel mistakenly assumes that there is incoherence between IP rights and drug prices. Among other things, the report recommends that governments should give patents only for genuine innovations, should ensure that the use of flexibilities built into the TRIPS agreement is not undermined, that governments should create an enabling environment for exporting medicines under compulsory licencing; the WTO should register complaints of pressure on countries to curb using TRIPS flexibilities, to bring greater transparency to drug pricing, also through a WHO database that keeps record of prices of patented and generic drugs and biosimilars. In the UN Human Rights Council’s (UNHRC’s) last session in June, a resolution was tabled by Argentina, Belgium, Brazil, Bulgaria, Colombia, Ecuador, Egypt, Haiti, Honduras, Luxembourg, Malta, Mozambique, Paraguay, Peru, Portugal, Romania, Spain, Timor-Leste, Qatar, Thailand, and Turkey, and later co-sponsored by India and some other countries. It emphasises that the primary responsibility for promoting and protecting all human rights rests with governments, and calls on the international community to assist developing countries in promoting the full realisation of the right of everyone to the enjoyment of the highest attainable standard of physical and mental health, including through access to medicines, in particular essential medicines, vaccines, diagnostics and medical devices that are affordable, safe, efficacious. Given India’s strong and well-known ethical stand on the issue of access, it would do well to stand firm against any pressure by rich governments to dilute its IP norms and standards. The consequences of India’s decisions will not only affect its own people but will have a significant impact across the developing world.